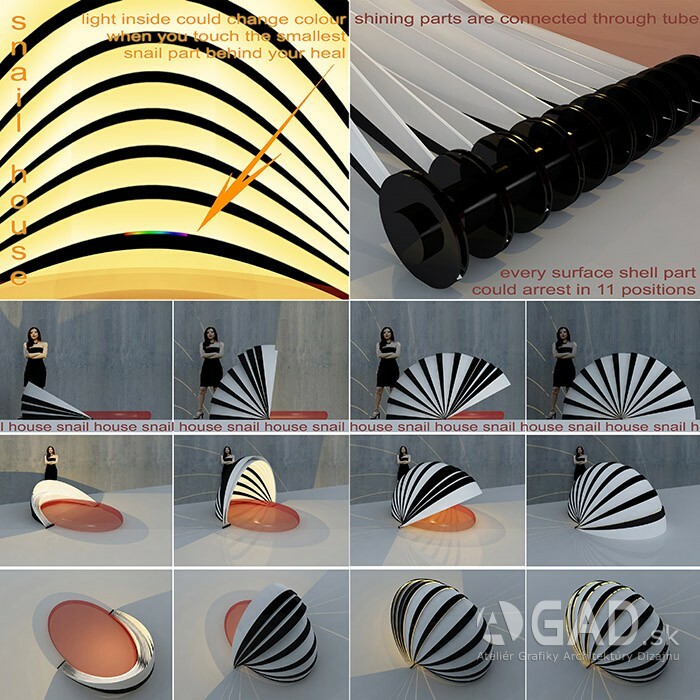 For interior and exterior relax. 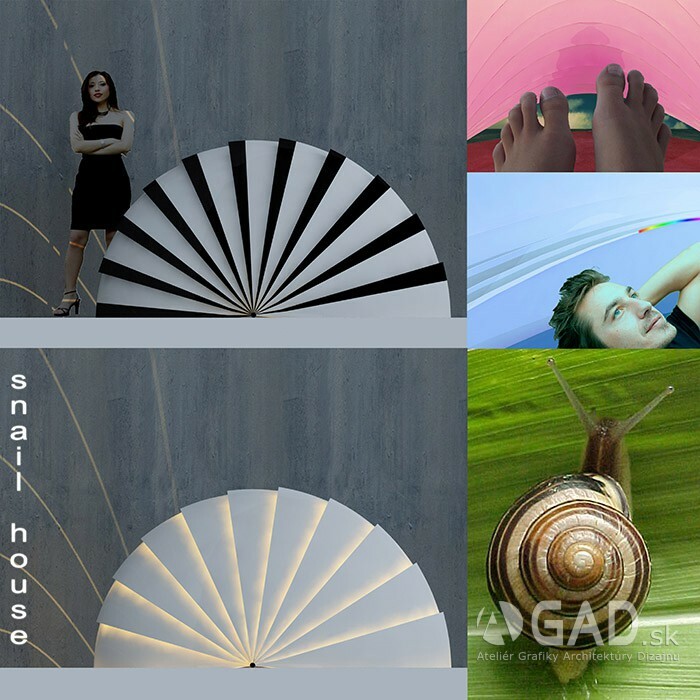 Relaxing is everybody, if you lie in Snail House or you look at lighting snail from outside. Can roll up and go out with. 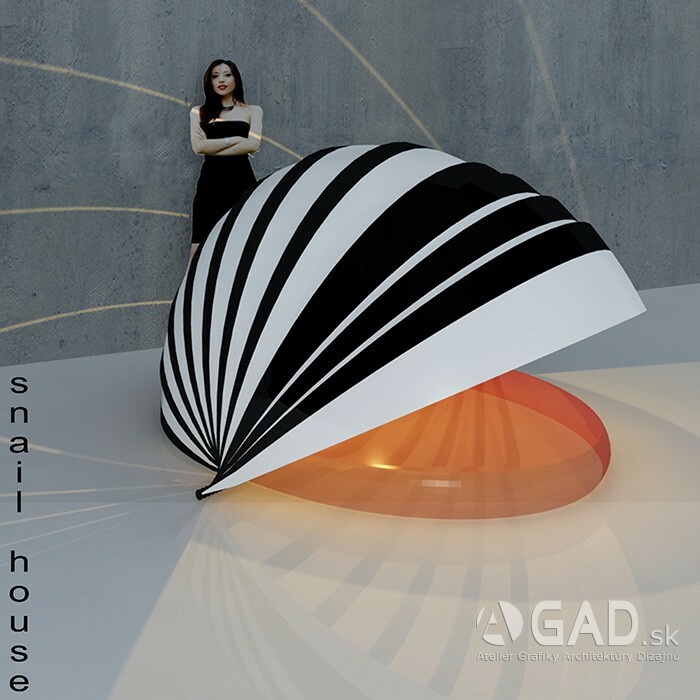 Snail House. 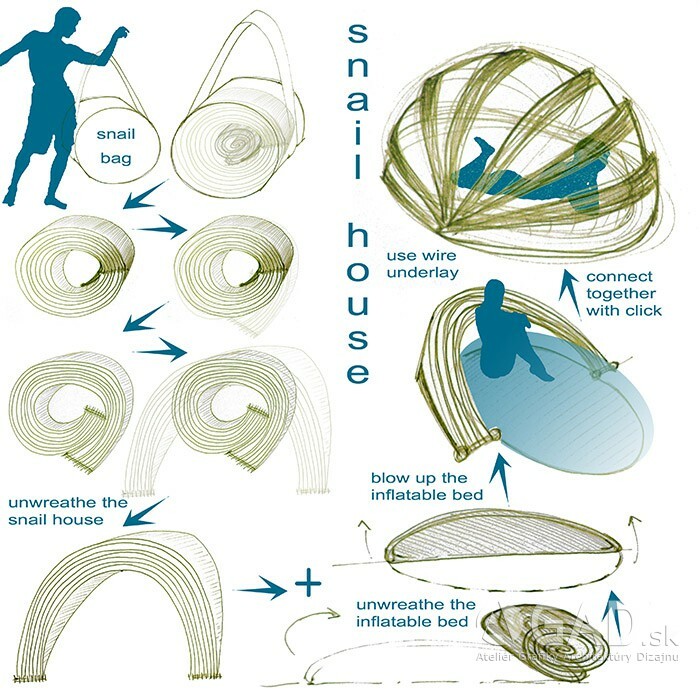 Snail House could be in 4 variations.